Microsoft launched its 4Afrika initiative in February 2013 in celebration of its 20 years of doing business on the continent. The aim of this initiative is to “actively engage in Africa’s economic development to improve its global competitiveness”, by focusing on 3 critical areas of development. Building world class skills, access to bleeding edge technology and driving innovation. The 4Afrika team is mainly based in Nairobi, Kenya and has an advisory council that ranges from a former Tanzania President H.E. Benjamin Mkapa, Microsoft South Africa Managing Director Mteto Nyati to some of Africa’s brightest young tech-preneuers such as Juliana Rotich and Marieme Jamme. On February 20th, the first class of Kenyan Windows Developer trainees graduated from the 4Afrika trainee program. 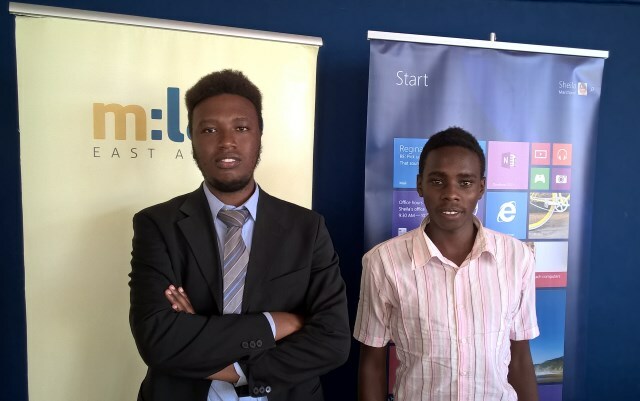 In conjunction with the mLab East Africa technology incubator, these trainees were put through a four week course were they learnt how to build apps in Windows as well as on Azure. During this 4 weeks, the trainees had Microsoft employees as tutors who volunteered their time. The Microsoft employees provided world class guidance from application design to securing intellectual property. After the 4 weeks of instruction, the trainees had 6 weeks to develop an app (a condition of graduation). They were also given access to the Microsoft Dreamspark and Bizspark programs to provide the resources needed to make their applications become a reality. Ms. Annie Njenga (4Afrika Ecosystem and Developer Experience) said that though the initial training focused on the technical aspect of the development, one of 4Afrika’s future goals is to add training on the “end to end” aspect of app development (i.e. the basic business development skills) and to improve overall application quality (user experience and design). Ms. Njenga also added that several of the trainees who showed great promise have already been placed with local start-up projects as intern developers. The graduates would also be eligible to take the MCA (Microsoft Certified Architect) exam at a heavily discounted rate. Brian and Clinton are two of the standout graduates of the Windows Developer trainee program. Their endeavors has resulted in app development opportunities in the enterprise sector. Brian has been developing since 2010 with Java and Visual Basic and focused seriously on Windows Phone development in 2012/2013. He has published more than 16 apps to the Windows Phone store with one app getting over 11, 000 downloads. Clinton started programming in high school with Database, and published his Windows Phone application while in University. Brian – “It was so easy. When I compared it to Android, Android is kinda problematic, from the point of setting up the development tools to the point that you actually get an app. But with Windows, just one tool (Visual Studio) for everything. Brian – “Microsoft also gave us support in the form of mobile devices, like when I was making my Navigator App which uses the Compass sensor. Through Nokia I was able to get my hands on a device that had that sensor. What are your long term goals With App Development? Has Windows Phone App development benefited you financially? Clinton – “Yes. The laptops we are using were bought with income from our apps.” Clinton also stated that they prefer to use price their apps as paid apps or use In App purchases rather than Ad- supported as the Microsoft In-App Advertising SDK did not support Kenya. Brian – “I am already using the Windows 10 Technical Preview and I like it very much. I already have one Universal App (WLC Media Player). Currently studying design at the University of Nairobi, Dennis was inspired to create the app by a social project that was created by the design collective Upart Together (Up Art Together). The design students fabricated a picture frame out of wood, then used the frame to capture students at various events around campus (thus the name #GetFramed). The idea quickly grew to have its own twitter hashtag and even was used to capture the President and Vice President of Kenya when he visited the University campus. The idea was to capture that same experience by creating an app that would allow consumers to “Frame” images using the camera on their smart phone. “My main focus is on art, design, because I love art and design and also music. So I want to make apps around that. As an app developer it’s so hard to get ideas because you are only thinking about the coding, so that’s my challenge. You know programming is a language so you have to practice it to learn it. Microsoft gave us good internet, awesome teachers who taught us shortcuts. My friends who understood the background of the app, were so happy that I made the app as it added to the portfolio of the #GetFramed project”. A trained IT professional with both bachelor and master’s degrees, Peter does not fit the atypical African developer mold. Peter took on the developer challenge to learn something new. He created an app that provides general information about the airport to the user. This includes which airlines operate in a particular airport, book flights, check weather, how to get to that airport and as well as other general information that will help travelers.